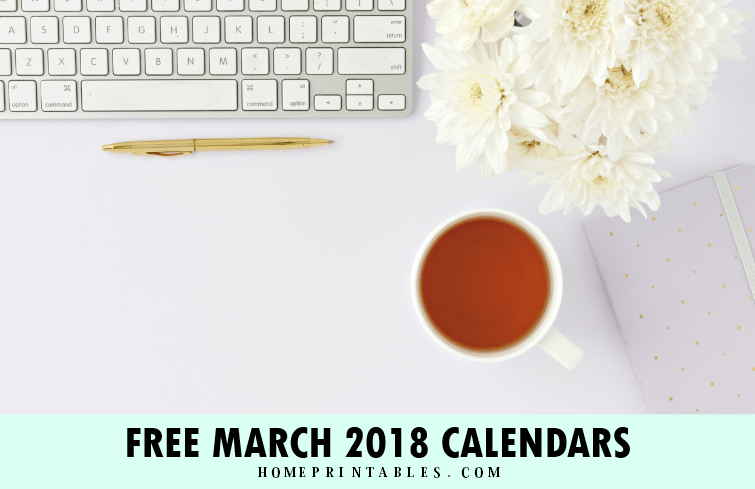 Free Printable March 2018 Calendars: Spring Themed! It’s freebie time again! 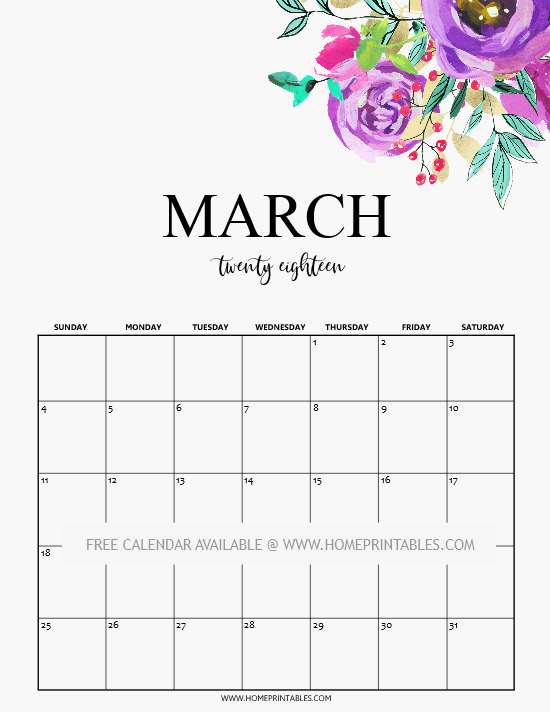 Are you looking for a free printable March 2018 calendar to use? We are happy to announce that we are releasing another set of free March calendars for you to choose from! Since Spring is just around the corner, we thought of sharing away some spring-themed calendars to ring in the refreshing vibe of the season. We’re excited to show you the designs! We can’t believe March is here! How has your 2018 been so far? We hope it has been amazing so far. 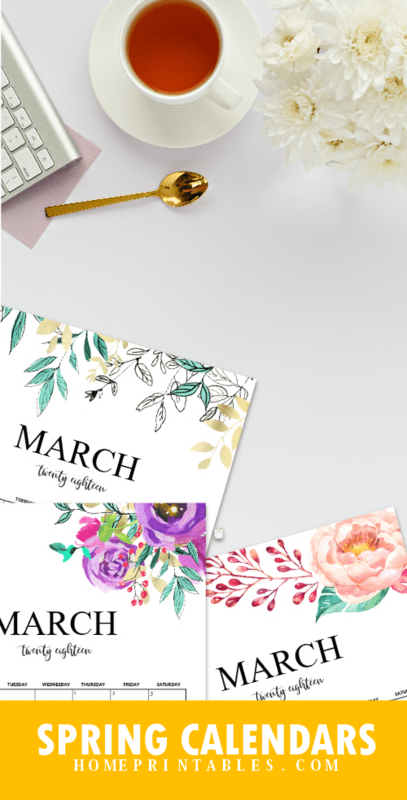 Today’s freebie is our second set of free printable March 2018 calendar planners. If you haven’t downloaded the first batch yet, be sure to pop over here to check out the calendars. 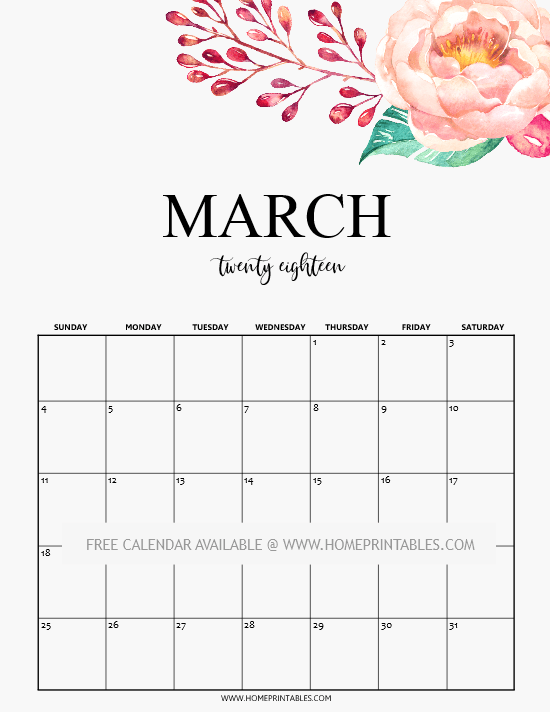 We have previously released 10 lovely free printable March calendars! And to give you more options, here are four more calendars, this time in spring theme! Ready to print yours? Take your pick! The first free printable March 2018 calendar that we’re showing you is this spring-themed calendar in purple florals. You can definitely use this calendar to organize your daily tasks and activities! Moving on, if you need a simple floral calendar to use in March, this second calendar makes a great option. It’s minimalist and less on ink yet very pretty! This next calendar that we’re giving away comes in refreshing nature-inspired elements, perfect to use this spring season! While you can use this to organize your schedules, you can also use this as a meal planner this March! And finally, this last calendar design is our favorite from this set. Those handpainted floral elements are simply stunning! This calendar is excellent to use to organize your work and home schedules. 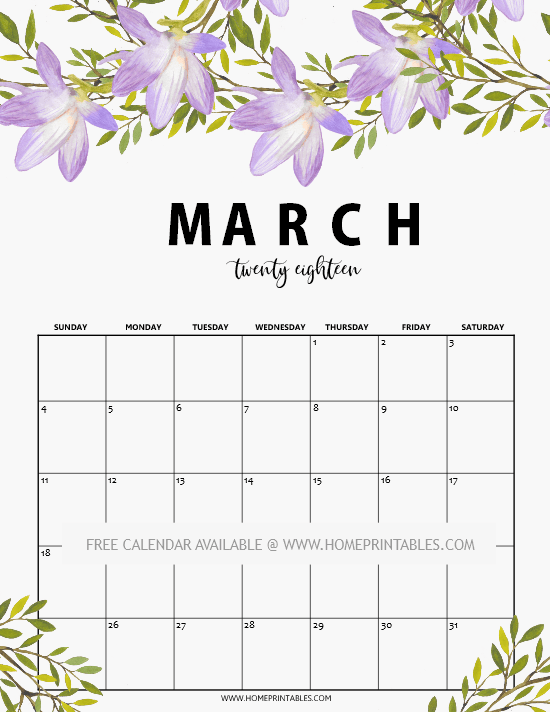 Get Your Free Printable March 2018 Calendar! 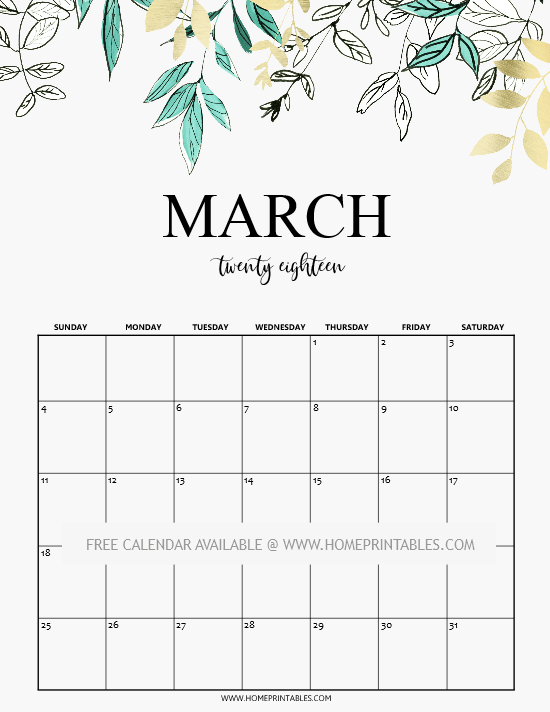 Ready to snag your free printable March 2018 calendar? Please hop over HERE to join our mailing list and we will send the file straight to your inbox right away! You can unsubscribe anytime! So which among these four calendars is your favorite? Please tell us at the Comments, we love to hear from you! Have an amazing March, friends!